This exceptional Archaic period single-face quartz hourglass bannerstone was found by Tim Jones in	Van Buren County, Iowa on July 16th 2007. It is made of a beautiful ferruginous quartzite and measures 2	3/4” long by 2 1/4” wide. According to Jones, he was in the woods riding a four-wheeler around ten in the	morning when he spotted a bright object in a ditch. When he went to investigate he discovered this classic	bannerstone. The hourglass bannerstone is found throughout the Mid-West, from Louisana to Ohio in three varieties; single-faced, bi-faced and a rare bi-faced style that has concave faces on each side. The hourglass is	considered to be the final developmental pattern that arose from the tube bannerstone. 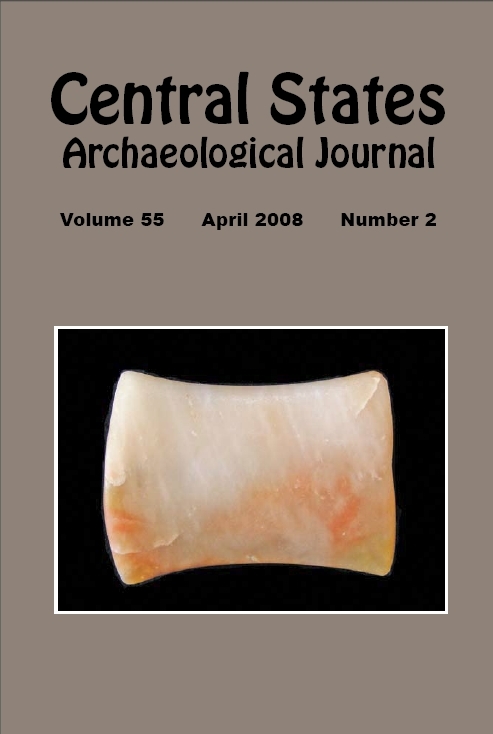 David Lutz states, in	his book The Archaic Bannerstone, that the hourglass pattern dates at around 2000 BC. He further notes that	it was during this time that ferruginous quartzite began to be used in bannerstone manufacturing and that the source of the quartz remains a mystery.